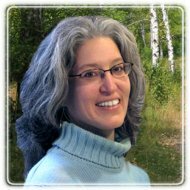 Rockville Therapist: Beth Levine - Therapist 20850. Send A Message To Beth. I am a Licensed Clinical Social Worker, having earned a Master’s degree in Social Work from the National Catholic School of Social Service, Catholic University. I have over 10 years of experience working with adults and adolescents (ages 14 and up), in individual, couple and family settings. I specialize in couples therapy, using a model called Emotionally Focused Couple Therapy (EFT). It is a very effective and powerful way to work with couples. I earned my Certification as an Emotionally Focused Couple Therapist and Supervisor from the International Centre for Excellence in Emotionally Focused Therapy. I participate in many educational opportunities to help ensure that I continue to learn and improve my skills as a psychotherapist. I am thankful to the many people who have shared their lives with me and taught me about people’s courage and capacity to heal and change.